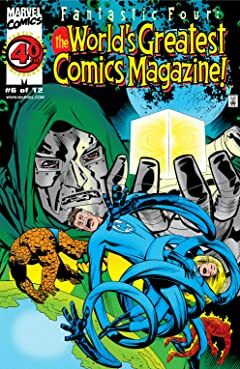 Collects Fantastic Four: World's Greatest Comics Magazine #1-12. 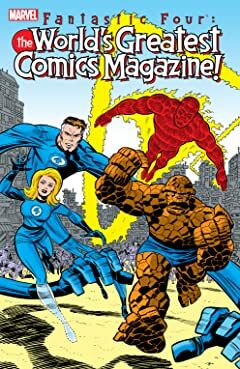 Stan Lee and Jack Kirby's legendary run on FANTASTIC FOUR lasted more than one hundred issues — and ended all too soon! 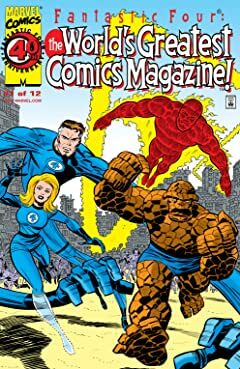 Now, witness the continuing adventures of Marvel's First Family, told as if Stan and Jack never left the book! 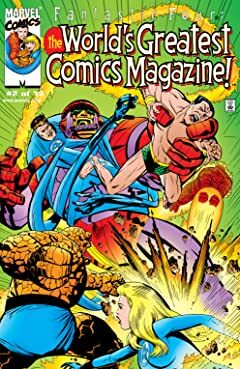 Some of comics' most talented creators join forces in this time-tossed tribute to the original Imaginauts! 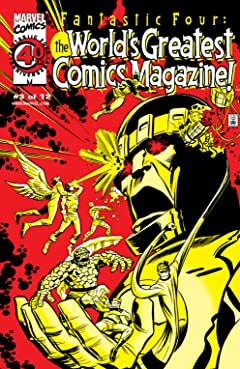 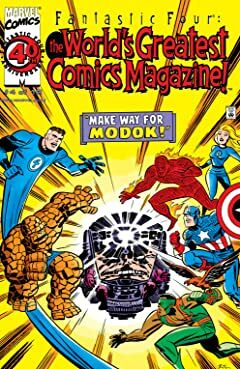 Featuring Doctor Doom, the Avengers, the X-Men, Thor, the Hulk, Daredevil, Black Panther, the Inhumans, the Sub-Mariner, the Silver Surfer, M.O.D.O.K., Annihilus and more! 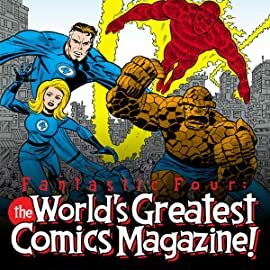 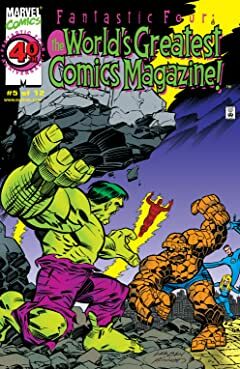 It's an action-packed celebration of everything that made Stan and Jack's FANTASTIC FOUR truly the World's Greatest Comics Magazine!